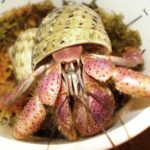 For those of you who have hermit crabs and cats. How do you prevent the cat from possibly going over the tank and getting in there to get the food or the crabs themselves? I have never had a house cat but we are considering one and it occurred to me that unlike a dog (which I do have experience with), cats can climb. Would a cat be interested in the smells coming from the tank and could a cat get in there or cause problems? Thanks. I have way too many cats to be considered sane, and have never had a major problem with them and the crabs. A good lid is a must, but the crabs should have one anyway so they aren't able to escape. If you use a heat lamp it can be a little dangerous with a cat because they can knock it over. Mine just like to lay on top the tank because it's so warm. I've had them crawl inside while I was cleaning or changing water. Only had one idiot use it as a litterbox, but he also had a thing for potted plants. Now that I have a plexi-glass lid, it's not a problem. Like Wode said, they like to lay on topo. Dusty, the brain damaged cat, watches the crabs like they are on TV, LOL. When I used saran wrap, I had to keep the door to that room closed all the time. I have a plexi glass lid that sits on top (inside the rim). It it hinged so that it opens halfway. If I jostle it, it can fall into the tank. So I would be concerned that it could be knocked down with enough jostling. finleyfoo wrote: I have a plexi glass lid that sits on top (inside the rim). It it hinged so that it opens halfway. If I jostle it, it can fall into the tank. So I would be concerned that it could be knocked down with enough jostling. You may need to figure out a way to brace it then - although if you can jostle it free, the crabs could potentially get loose, too! 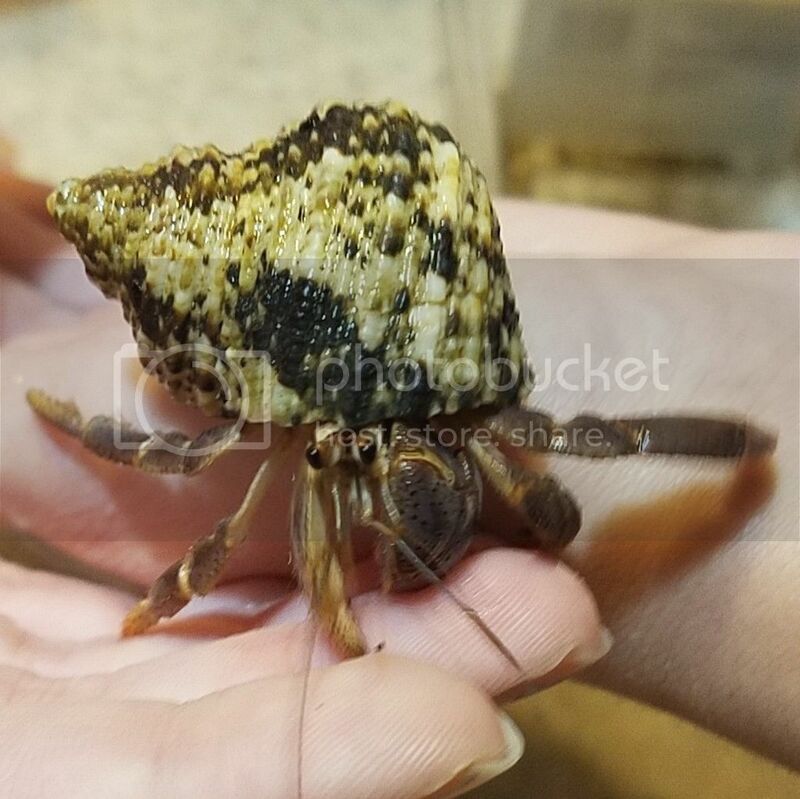 I have two cats and I haven't had any problems within the four months I've had the crabs. One of my cats is fourteen, so she doesn't care, and the other who is three heard them making noises one night, stared intently at them for a while, and lost interest.